FASHION is a multi-billion dollar international industry, so it’s not surprising that students travel across the world for the opportunity to study it. However, while most will think of Paris, Milan and New York when they think of the fashion capitals of the world, there are also many innovative, prestigious and dynamic fashion schools in the UK - and not all of them in London. Whether you are looking for quality teaching, affordability, career links, work placements, a great location or all of the above, there are plenty of reasons why a top UK fashion school could be the ideal fit for an international student. You’d be hard pressed to find a better fashion school in the UK than the University of the Arts London - it is the largest specialist art university in Europe, containing six prestigious colleges including Central St Martins and the London College of Fashion. 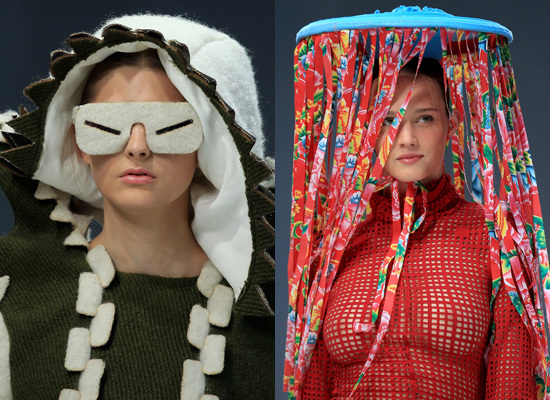 UAL is a school renowned for producing creative genius, with famous graduates including Jimmy Choo and Jon Galliano. Not only that, but UAL offers a mind boggling number of fashion-related courses, with degrees on fashion communication, fashion journalism, fashion photography, textiles, retail management and even hair and makeup. Located in the third best student city in the world, London is also the ideal location for international students, with a thoroughly multi-cultural atmosphere and a large overseas student community: UAL’s student body represents 110 countries. Located in a city historically intertwined with the clothing trade, Manchester Metropolitan University’s (MMU) multi-million pound Department of Apparel is renowned for employability and industry links. 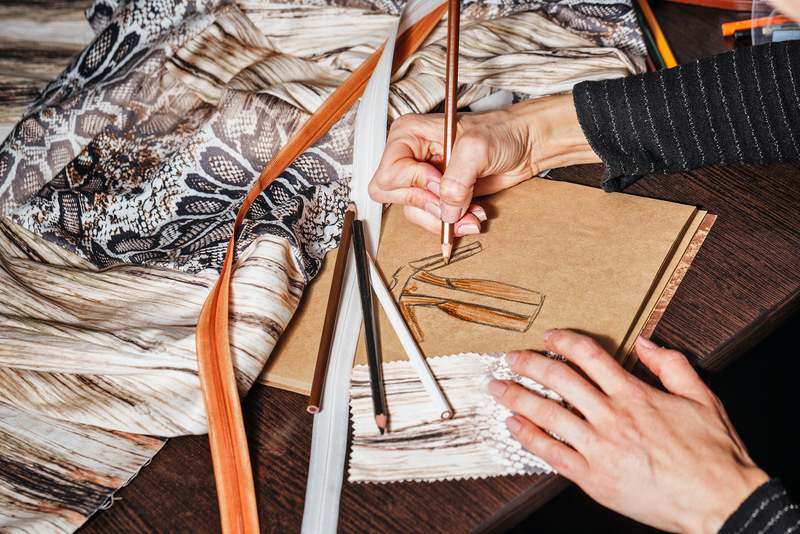 The university’s courses encompass all aspects of fashion production and offer students the opportunity to work on unique live projects, study trips, and placements so that international students can experience the world of fashion design for themselves. This gives students at MMU an opportunity to make links for potential employers around the UK and around the world. Students also have access to state-of-the-art resources, including a 3D body scanner, sew-free bonding equipment and digital pattern cutting software, in addition to receiving plenty of studio time and tuition from staff who have actually worked in the fashion industry. Previous students from the Department of Apparel have become fashion designers, merchandisers, buyers, technologists and product developers. And, of course, students at MMU come from all over the world, including China, Malaysia, United States and India. The Winchester School of Art is part of the University of Southampton, and is one of the UK’s leading art and design schools. Employability is one of Winchester's hallmarks, with previous students gaining internships at famous companies like Stella McCartney and Alexander McQueen, and 95% of the school's students are employed or engaged in further study within 6 months of graduating. 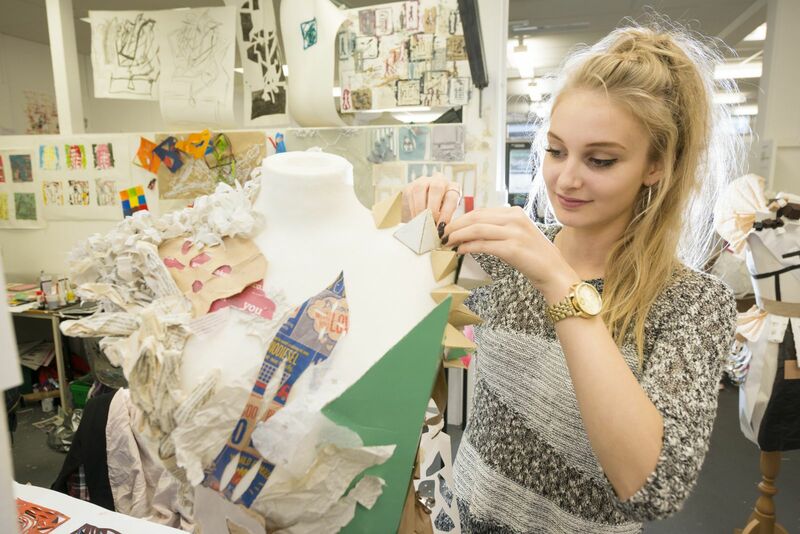 Students at Winchester can also study more than just fashion design; the school offers courses in Fashion Management and Branding as well, allowing students to explore both the creative and the business aspects of the industry using the school's modern facilities. With over 500 international students studying here, it also has a multi-cultural feel, with more overseas postgraduate students than Brits and an International Student Society to support students and organise events. Furthermore, Winchester is only one hour away from London by train - so students can visit the UK's fashion design capital for inspiration. Read more about opportunities for international students at the Winchester School of Art. As one of the few independent at colleges in the country, Leeds College of Art offers a tailor-made creative community in which artists and designers can thrive. 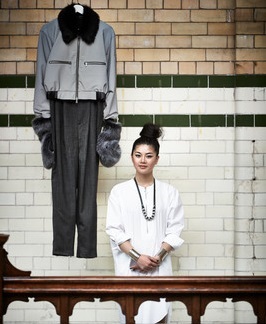 The college’s dynamic degree programmes encourage students to explore their individuality as a fashion designer, and their focus on industry collaborations and live projects gives their students unique opportunities. Louis Vuitton, Urban Outfitters, Harvey Nichols and Dior have all worked upon collaborations and workshops with the college, and there are frequent competitions and work experience placements to be had. You can read more about the college’s work with Louis Vuitton here. Leeds College of Art is also award-winning; it is the highest ranked independent art college in the Guardian University League Tables 2014 for specialist institutions, and in 2014 also won the What Uni Student Choice Award for the UK University with the Best Facilities. It’s easy to see why – while studying, students have access to digital and screen printing equipment, laser cutting, as well as ceramics and other specialist resources that give their projects that much-needed competitive edge. While the college’s study body is smaller than at a large university, it is also home to students from 46 EU countries and 25 non-EU countries, making it an excellent choice for international students. Situated in the city of Leicester, De Montfort University is one of the most popular universities in the UK for Art and Design, and has been offering courses in this field since 1870. The Which? University Guide has named DMU as one of the most creative universities in the UK for two years running. Students from DMU have won many high-profile competitions and awards, including Young British Designer of the Year in 2010, the Triumph Inspiration Award in 2012, New Designer of the Year and the MODA Footwear Award in 2013. DMU’s excellence in Contour Fashion and Footwear Design is also recognised internationally; graduates and students have designed shoes for The Duchess of Cambridge and clothes for Lady Gaga, Kate Moss and Beyoncé. See what DMU students have to say about their experiences here. As for international students, there are around 1,500 international students studying at DMU, each one with access to the university’s tailored International Student Support Service. The service looks after international students from their first day to graduation, running an airport pick-up scheme, monthly trips around the UK, and an International Welcome Week to help student settle in with free social activities and information sessions. Even more impressive is DMU’s 155 quality international partnerships that provide work placement opportunities around the world to its students. Sold on studying at one of the UK's top fashion schools? Find out more about the courses at the Winchester School of Art here, or find more great content at our Creative Industries section.